Farm Fresh, Free Range Eggs...What Are The Benefits? 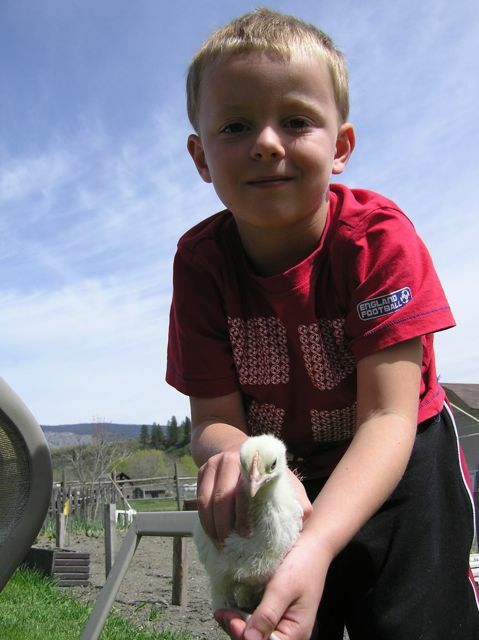 Our orginal intent was to have a few backyard chickens that would provide enough eggs to feed our family. Within the space of a few months that original goal changed to having enough chickens to also sell our eggs to our community. We went from having pretty much no experience with laying hens to having almost 100 of them free-ranging on the back acre of our property! It was a steep learning curve and a whole lot of hard work but the benefits pay off each and every time we break open fresh eggs. Bright orange egg yolks, rich flavor, stiff egg whites, and the satisfaction of harvesting the fruits of our labor are our rewards. The more I have learned about raising laying hens the more I question commercially raised eggs. Before we had our own chickens I would buy "free-range" eggs at the grocery store for about $5 a dozen. Now I am coming to understand that the label of "free-range" only means the chickens have access to the outdoors. It does not specify if they are allowed out to pasture, how often they are allowed out for, or even how much space is allowed to each chicken. I have to wonder, with the price of land, how much land and what quality of land these chickens are allowed access to in order to make selling eggs a commercially viable business! One of my passions is supporting farmers and buying locally grown food. This does not just extend to fruits and vegetables in the summer but also eggs, meat, grain, and milk products and it involves processing and preserving in the summer for our enjoyment in the winter. If you can seek out your own farmer to buy farm-fresh eggs not only are you adding value to your community, but free-range eggs have been repeatedly shown to be better for you than commercially grown eggs. If you would like to find your own local sources for food grown in and around Oliver please check out our "Focus On The Farmer" category of our blog! Author Bio: Full time mother, gardener, chicken farmer, local food lover, world traveler, and proprietor of this website, Amy is passionate about the South Okanagan. She is happiest spending time with her family, participating in intentional community, growing and preserving her own food, observing her chickens (it's free therapy! ), and exploring the beauty of the world.